That one stayed struck, that's for sure! 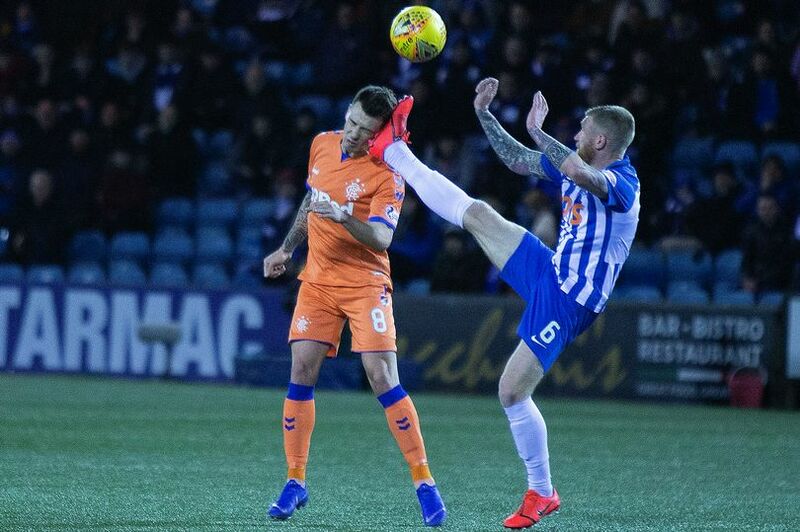 apparently this isnt a dangerous enough tackle to deserve a red, or further action.... sorry but ive had it with scottish football. disgusting. Scandalous, mate... The standard of referring in this country is simply shocking, quite simply because the infrastructure (or lack of it) supports precisely that: a totally pish standard! However, we'll see! For me, to have ANY kind of chance at all tonight, we need to take a two-goal lead to Spain - and without conceding any. That's a BIG ask. Lol, I don't disagree with your view, but our recent good form has been against Scottish opposition; this will be a BIG step up, as Valencia are also in good form, and certainly no mugs. I'd have left Bain in, as he's proven himself eminently capable, especially in the big games. So for me, if it's true that Gordon's being brought back into the team, that's a mistake. Isaguirre is just back from a fairly nasty injury, so I can't see him lasting 90 mins, and could be suspect before that too, if he's not 100% fit, which I doubt. And I wanted Benkovic fit for this game, as he's an outstanding defender, but which unfortunately hasn't happened. On the positive side, Simunovic (much like Sinclair, the the other end of the pitch) has come onto a bit of a game and looks much more solid than he was before, so let's hope that continues tonight. And Boyata is back, although I'm not sure he'll be 100% fit either, as he's not long back either from injury. The big plus is Tolfan, at right-back, who's looked IMMENSE, since arriving from Borussia Dortmund. The boy's clearly a class act, defensively and going forward, with his pace, down the wing. Midfield and upfront, where we're strongest, will take care of itself, although once again how fit Edouard [our lone striker] will be is another question mark, as he too has only recently returned from injury. Therefore, I'm expecting our (very strong) bench to have an impact on this game, with possible crucial contributions from Burke and Weah - and one of them may score the winner! I'll certainly be glued to the TV, watching it in 4K UHD, on BT Sport. However, by the end, I may having bitten all my fingernails down to the quick!! I see he's gone with Bain, in goal, so for me that's good, as it continues the consistency of selection, although it'll be a tough test for him. Plus, Burke's also the lone striker up front, with Edouard and Weah on the bench, so we'll see how it goes! Hopefully you'll catapult out of the blocks..